Designed like no other watch, the Freak is uniquely constructed with a movement that turns about its own axis, with neither dial nor hands. Fifteen years after the FREAK made its debut, Ulysse Nardin and The Hour Glass organised a private get-together to celebrate the revolutionary watch's birthday. 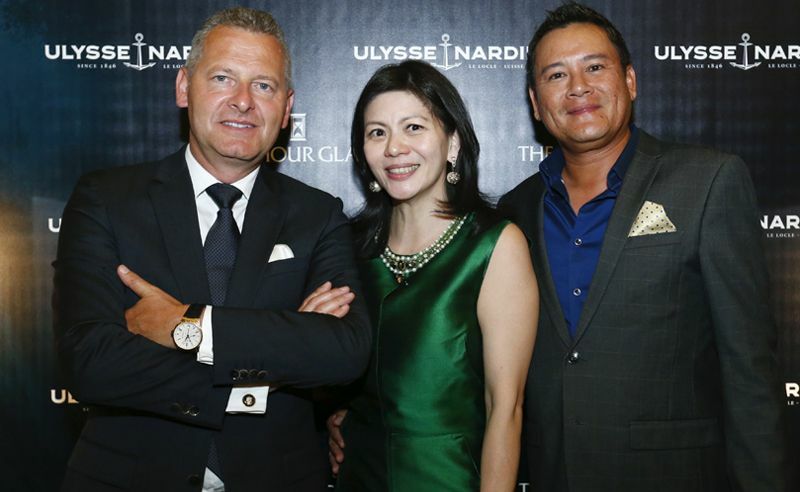 Hosted by Patrik Hoffmann, CEO of Ulysse Nardin and SK Teh, general manager of The Hour Glass, the centre court of Shook! at Starhill Gallery was graced by the watchmakers loyal VIP customers, like Che Puan Datin Winnie Low, Tunku Dato’ Johanez, and Dato Sri Jeffrey Raymond. Guests took the time to admire the unusual timepiece on display before enjoying a specially prepared meal to the sounds of a live jazz band. The Freak isn't the only watch from Ulysse Nardin celebrating a milestone, the Marine collection just turned 20 this year.